Cary Holladay reads from her story “Horse People” (see a digital broadside inspired by the story here). Team Lookout has been working on Astoria to Zion for more than a year now. 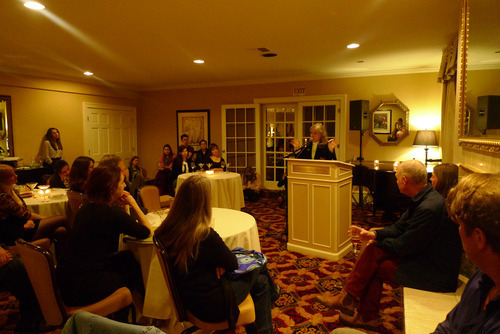 It seems like so long ago that we sat in Emily Smith’s publishing practicum course, armed with every back issue of Ecotone, fervently debating which stories to include in the anthology. 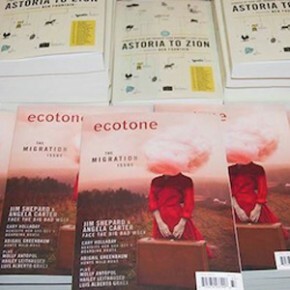 From those early discussions to drafts of the cover and interior design to the planning of readings and other promotions; so much time, energy, and joy has gone into making this anthology a true celebration of the first ten years of Ecotone. 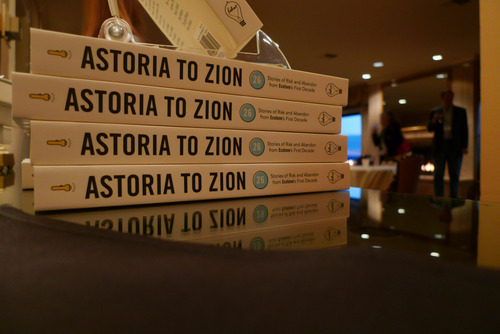 For this week only, we’re offering Astoria to Zion for $10 with the promo code PUBDAY, as thanks for your support of Lookout and our twenty-six contributors.